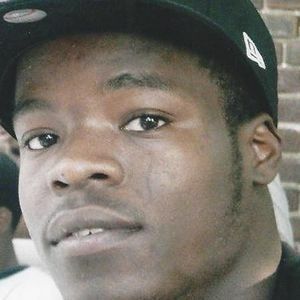 Jalil Jayvonne Akeem Johnson departed this life on April 16, 2012 in Wilmington, Delaware. He was born to his parents, Lynette D. Tiller and Jayvonne M. Johnson, Sr., on September 15, 1989 in Newark, Delaware, at Christiana Hospital. Jalil received his education in the public school system of Delaware. He received his High School Diploma from James Groves High School. Jalil was a very innovative, ambitious person. He was driven and very determined. He was always coming up with ideas to try to better what he felt for him, was a limited life. He started his own car detailing business called Johnson's Car Detailing Company. He was so proud of that and felt so accomplished and happy. He felt he made a bold statement to the legal system saying "YOU CAN'T STOP ME" regardless of my past mistakes. Jalil was smart too. He was what his family called their math genius. That boy could solve any math problem you put in front of him big or small. He loved money and boy did he get that honest. Jalil was a person that loved many different things. He was passionate about his family, loved spending time with his brothers and sisters and his cousins and friends. He enjoyed many sports, such as basketball. His favorite team was the Lakers, football, (Green Bay Packers), and wrestling. Another one of his true passions was rapping. He loved going to the studio, making mix tapes, and making videos for Youtube with friends. He didn't care how many times you heard his songs, he would make you listen to them over and over again. Even his son knows the words to his dad's songs. He was very talented and through his skills he adopted the nickname "Lil Jammy." Anyone who knew Jalil, knew he was a very loveable person. He was a loyal friend, always willing to help his loved ones in any way that he could. He was fun to be around and he could always brighten your mood, and put a smile on your face. Even if you got mad at him, you could never stay mad at him for long, because he would always find a way to get you back talking to him. Through his longtime friendship with Bernice A. Thomas, the two of them conceived their greatest accomplishment together, their son Na'heim N. Thomas (Nonny), who is the spitting image of his father. Many times you could find Na'heim doing some of the same things Jalil did while growing up. In other words, just being plain ornery. Jalil loved being a father and his son meant everything to him. Although Jalil is no longer here, he will always live in spirit, through his son. If you had the chance to ask him now, about his life, he would say "I had a great, short life. I've seen a lot, I've done a lot, I've made my mistakes, remember me." Jalil was preceded in death by his paternal grandparents, Russell and Gwendolyn Johnson, maternal grandparents, Yvonne C. and Emil L. Hammond, Sr., aunt, Mary L. Hammond and uncles, Emil L. Hammond, Jr., Willis Brown, Charles Tiller and his father like figure, Jason A. Wilson. He is survived by his son, Na'heim N. Thomas, his father, Jayvonne M. Johnson, Sr., his mother, Lynette D. Tiller, stepfather, Michael L. Kent, his brothers; John Williams, Faison Tiller, Jayvonne Johnson, Jr. and Jaiden Wilson, his sisters; Jayliah Johnson and Jaidah Wilson, sister/cousin, Jovanna Tiller, his uncles; Gilbert Baham Sr., Louis Tiller, Dwayne and Ishmere Garden, Naji Johnson and Rushaun Johnson, his aunts; Judenia Johnson, Gina Tiller and Sherry Marable, Tanya Glover, Tessa and Lavette Garden, Ethel and Debra Tiller, his sidekick cousin, Aquisha Tiller and longtime friend and mother of his child, Bernice A. Thomas. He also leaves to cherish his memory his entire Baham, Johnson, Freeman and Hammond and Ennis family. You guys watched him grow and helped to nurture him. His love for you all will forever shine brightly. Special thanks to his grandmother, Laura Freeman and aunt, Tanya Ennis, and a host of other family and friends. The beautiful and interactive Eternal Tribute tells Jalil's life story the way it deserves to be told in words, pictures and video. Not a day goes by that I don't think of you. I hate the fact that your life was so tragically cut short & our family was robbed of precious time with you. We grew up together, cousins, but more like sister & brother, & we were supposed to grow old together, raise our kids together & so much more. I have so many memories of u, it just hurts so much to think about them. I miss u so much and I will forever keep u in my heart. I love you, see u in paradise. My Deepest Condolences to the Family, It seems so unfair that death has the power to take away someone you love. And when it happen the thought of never again to talk, laugh with or hold your love one again can be most difficult to bear. The Bible calls death an enemy and none of us can outrun it or fight it off. But God is far more powerful than death. He is the loving Rescuer who has already shown that he can defeat this enemy, when he raised his son Jesus Christ from death. And he promises to destroy this enemy, death forever. 1Corinthians 15:26 states: "As the last enemy, death is to be brought to nothing." May your family find comfort and hope in these promises. Jalil I can't believe ur no longer wit us I just got the call nd words can't express how ya brotha nd I feel! I'm just messed up ova dis u were such a good person always had ya twin(son) wit u! But they say the good dies young nd now ur in a matter place R.I.P Jalil c u wen I get there! I'm sorry for your loss. I knew Jalil from Delaware Skills Center. Keep Kissing Mamair for me Cuz! !